November 2014: Serena Ivaldi has succeeded in the Inria Competitive selection 2014 as a young scientist (CR2) and she has joined the team. October 2014: Francis Colas has succeeded in the Inria Competitive selection 2014 as a young experienced scientist (CR1) and he has joined the team. September 2014: Jilles Dibangoye, postdoc in Maia Team, has left the team to Insa de Lyon where he got an assistant professor position. June 2014: Jano Yazbeck defended her PhD. On 3rd October 2013 Antoine Bautin defended his PhD Defense. 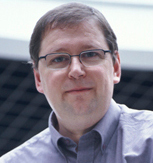 September 2013: Olivier Simonin got a Professor position in Insa de Lyon. June 2012: Winner of the third edition of the French ANR/DGA Robotics Contest â€˜Carotteâ€™, Bourges, France, with the CartOMatic Team (LISA Univ. Angers, INRIA-LORIA Maia Team).